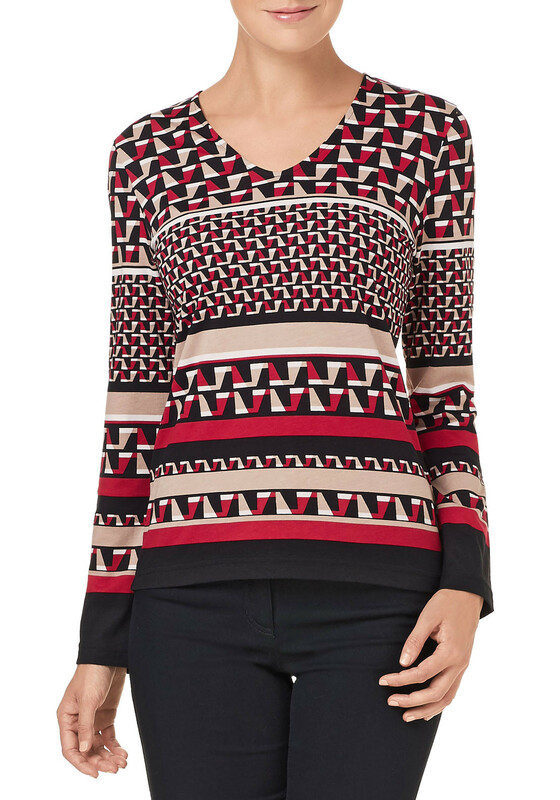 Gerry Weber presents this eye-catching top which would be a comfortable choice to wear with black trousers or a skirt for work. 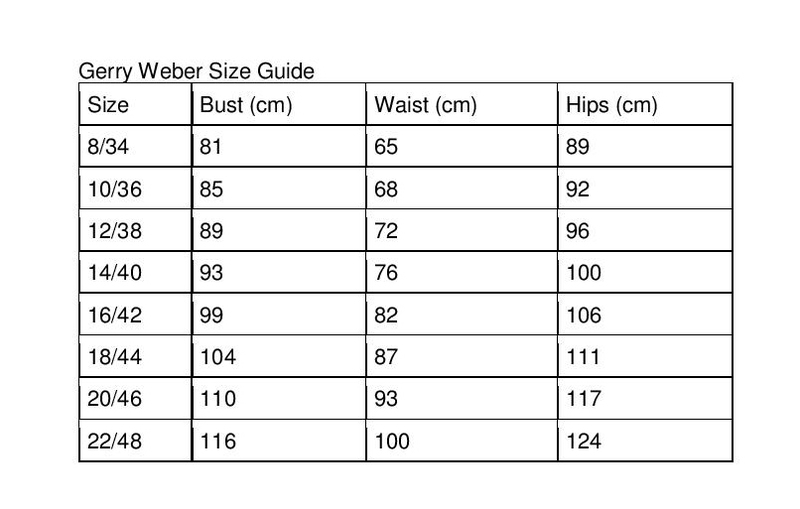 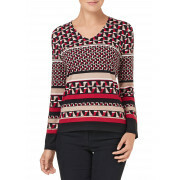 Designed with long sleeves, V-shaped neckline and a figure fitting shape. 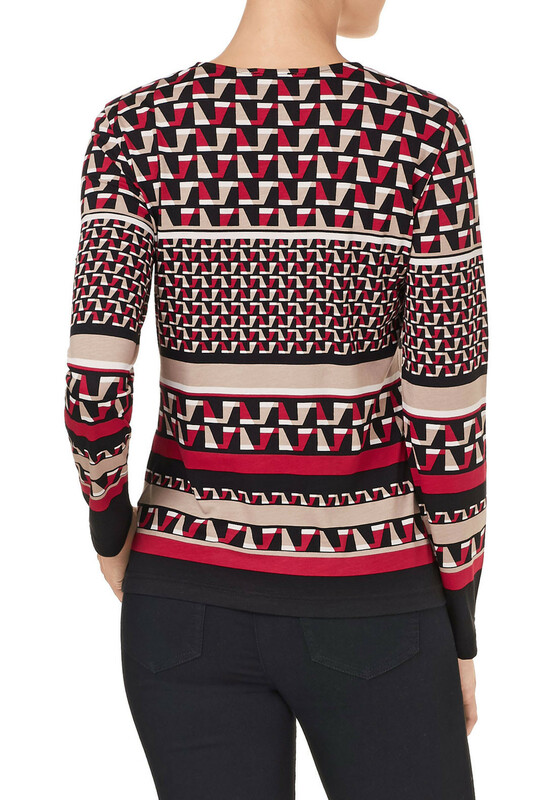 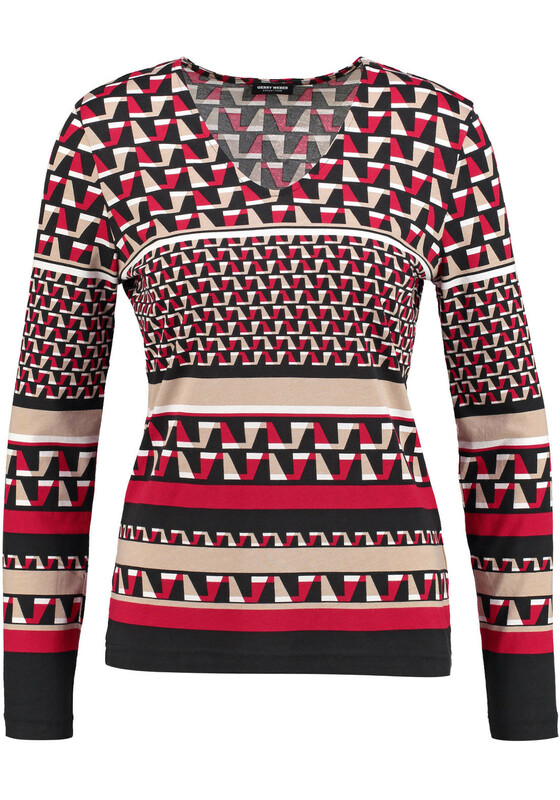 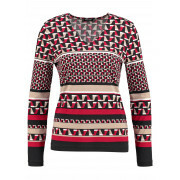 Made from soft cotton blend jersey fabric with a striking red, black and beige toned geometric print throughout.